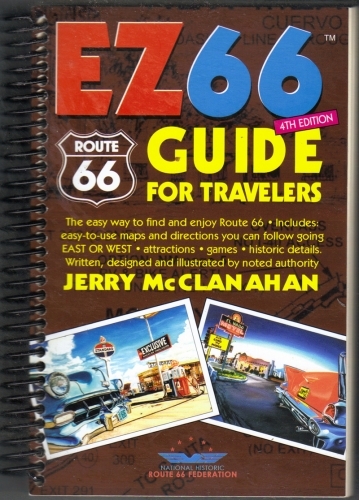 Includes both the EZ66 Guide For Travelers (4th Edition) and the Route 66 Map Series. 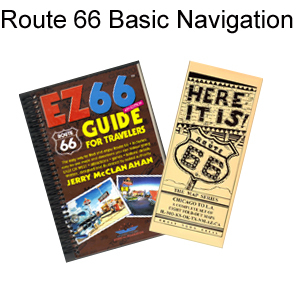 The EZ66 Guide includes up-to-date maps, attractions, tips and games. The Eight State Map Series includes a packaged set of eight fold-out roadmaps, one for each Route 66 state, providing clear, detailed driving directions. This set will provide you with the basic tools for providing an easier journey on what can sometimes be a confusing piece of pavement. Save money in this special package deal! 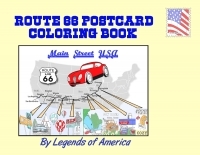 Add & Save $ on our Route 66 Postcard Coloring Book. If you love Route 66, enjoy coloring, and like to share with others, this book is for you! The Route 66 Postcard Coloring Book contains 20 postcards of various places along America's Mother Road, each ready for your own artistic touch. Then after you color, remove each and send as a postcard. Complete with stamp placement on the back, and information on each location. Or, keep your finished work as a reminder of fun times traveling Route 66. Postcards after removal from book are 5x7". Book is 5x8". Book designed, printed and published in Missouri, U.S.A.